Directions: From Denver, head south on Hey 285 to Schaffer's Crossing just before Pine Junction. You'll see signs for Staunton State Park. Exit the highway and head north on S. Elk Creek Road, the park will be on the right. This hike starts from the lower parking area. There is a fee to enter the park. Staunton State Park is a park of long trails...except for Davis Ponds... 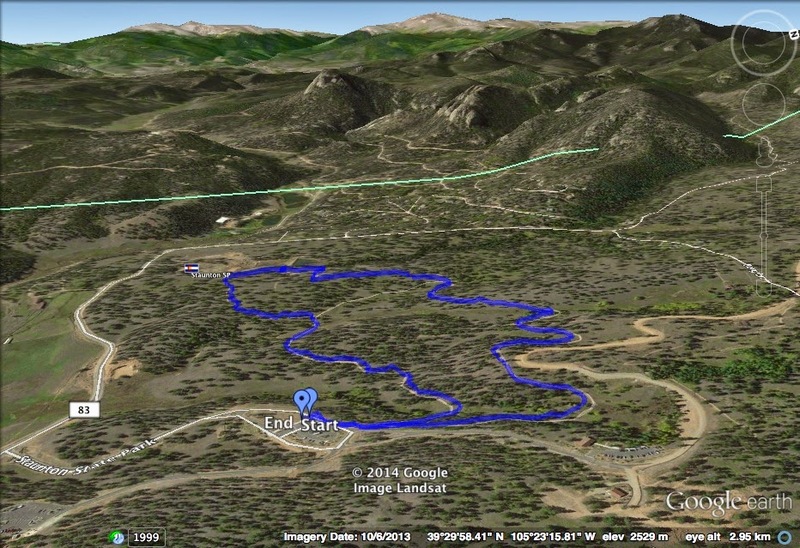 This hike is relatively easy, and good for kids or just a pleasant hike through evergreen and aspen forest. Unfortunately, at the moment the ponds area is closed but it looks like it will be very pretty when it is open. I believe that you get a nice view of the Lion's Head from the ponds. Even with the closure, the hike is worthwhile. There are abundant aspen and views of the various rock towers and cliffs of the Staunton Rocks area.